Baby Hummingbird Nest – Cool! “After having nesting house finches with 5 babies on my front door, a neighbor who enjoyed that saga Email’ed me about a hummingbird nest at a nearby golf course. I have some old pictures of Colorado hummingbirds, but had never seen a nest. “It’s amazing how well camouflaged it is – would have never seen it if it hadn’t been pointed out to me – thanks Brian! This is truly an amazing collection of images – a hummingbird’s nest is very, very small. The author shows us, up close, just how small it really is on this page. 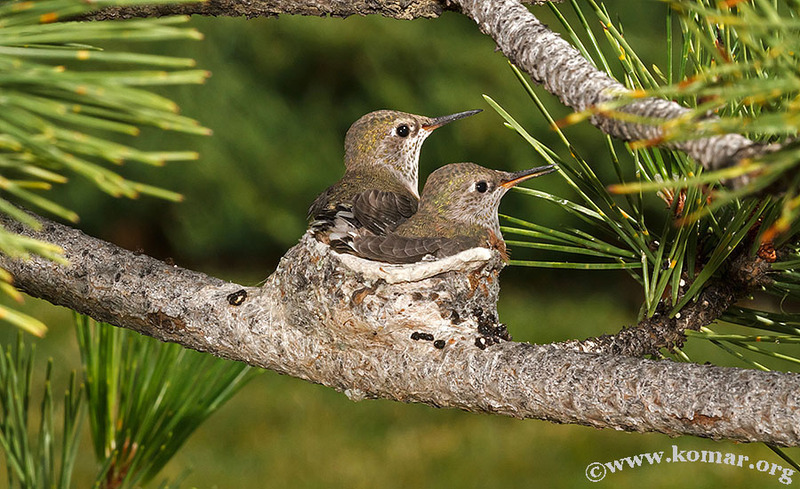 Take a little time and peruse down thru the many photographs he has captured of a mother hummingbird and her babies going through the birth and eventual fledging of these precious baby birds. Find your heart, open up both your eyes. We can all know every thing without ever knowing why. It’s in every one of us, by and bye. What AMAZING pictures! The little baby birds were so beautiful! Thank you for sharing this great link! Wow! Nice! Spring is soon to be here! Fascinating pictures. Thanks for the links. Fascinating! Am sharing it on Facebook. WOW…tiny tiny the nest and them. We don’t have many of those where I live. Aren’t they sweet? So tiny. You may find out that this author, Alek, has been known to do an internet hoax once… but he made the most of it in the end and confessed it all, however, this site about the hummingbirds appears to be totally legit. He just loves taking photographs of natural elements. The hoax was concerning Christmas light on his home in Colorado apparently… you can google it and read about it but I wouldn’t let it stop you from enjoying these birds one little bit. Incredible pictures! I had to pass that one along onto Pinterest. Thanks for posting this wonderful find, Bex!